Chinese tech company OPPO is expected to release a new smartphone any moment from now. The phone dubbed OPPO R11s is an offshoot of the “flagship” midrange OPPO R11 released earlier this year. 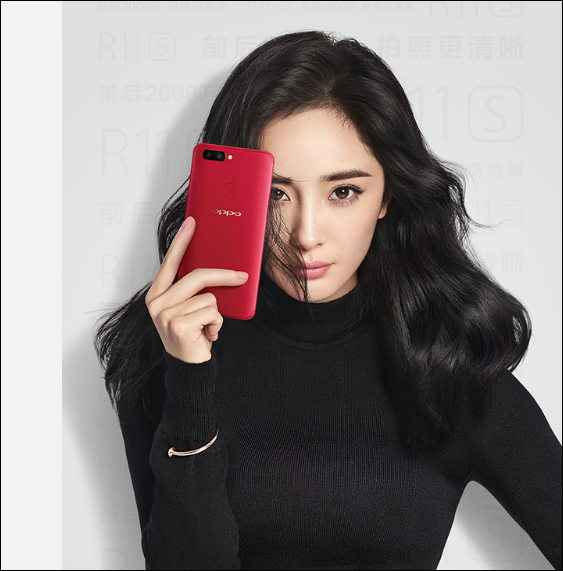 The R11s has featured in a couple of promotional teasers lately showing the design of its rear aspect that is no different from that of the R11. The front design is still elusive but several leaked photos show the design would be a full-screen design. Talks of the OPPO R11s coming with a full-screen design shouldn’t come as a surprise considering that full-screen phones are the latest trend in the industry and OPPO wouldn’t like to be left behind. The device was even spotted on GeekBench, packing a Snapdragon 835 chip among others. 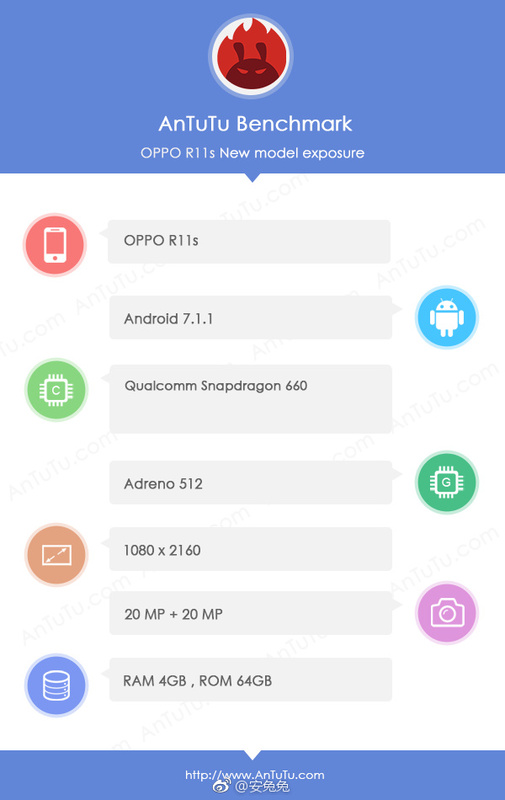 The specifications of the OPPO R11S has now surfaced on ANTuTu’s Weibo page and it has confirmed the device will indeed come with a full-screen design. The listing, however, shows the device will be powered by a similar Snapdragon 660 premium mid-range chip that was used on the R11 and R11 Plus. The SD 660 comes with an Adreno 512 GPU and is paired with 4GB of RAM while there is 64GB of storage onboard. AnTuTu listed doesn’t contain the R11s’ display size but the resolution is given as 1080 x 2160 pixels which clearly reveals the display would adopt an 18:9 aspect ratio. Further, the R11s is listed with a 20MP main sensor which is likely a repeat of the 20MP + 16MP combination on the R11. There is also a 20MP selfie sensor on board while the interface will be provided by Android 7.1.1 Nougat likely with a touch of OPPO’s Custom UI.